Our selection of hand-operated scooter lifts is the one-stop shop for scooter owners who want a budget-sized option for transporting their mobility scooter with them when they travel. 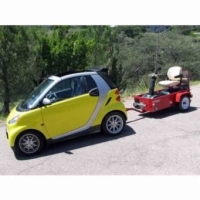 Browse our offerings, or contact a scooter lift expert to aid you in your decision by calling 1 (800) 462-5187. Check the box next to the Hand Operated Scooter Lifts you wish to compare.